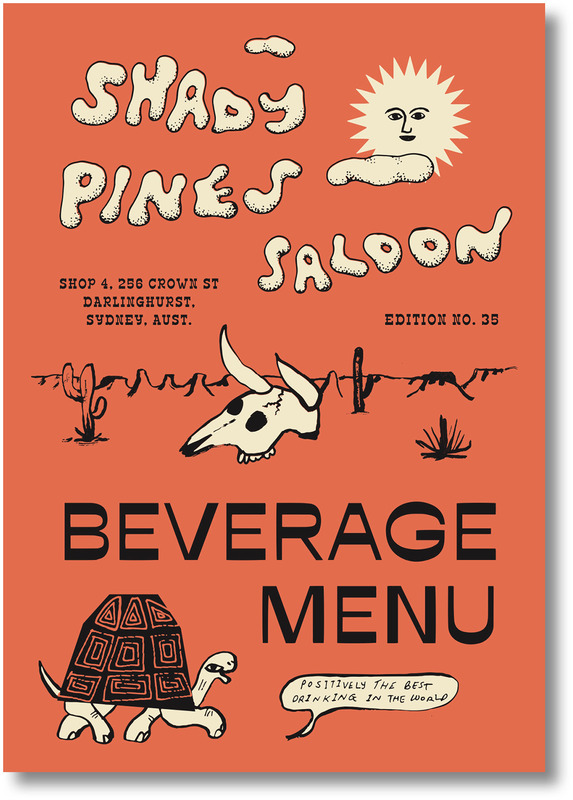 The new Shady Pines Saloon menu has landed, and it’s an all new look for a brand new year. 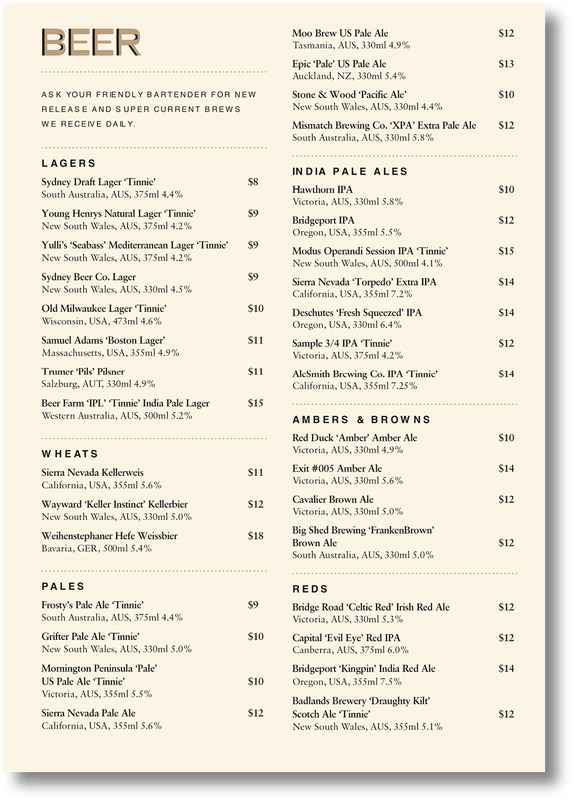 “Essentially, for this menu we wanted to do something fun and approachable, pretty much what Shady Pines is all about,” says Swillhouse group beverage director James Irvine. But just because it’s fun and approachable doesn’t mean there’s not a bunch of interesting stuff going on. 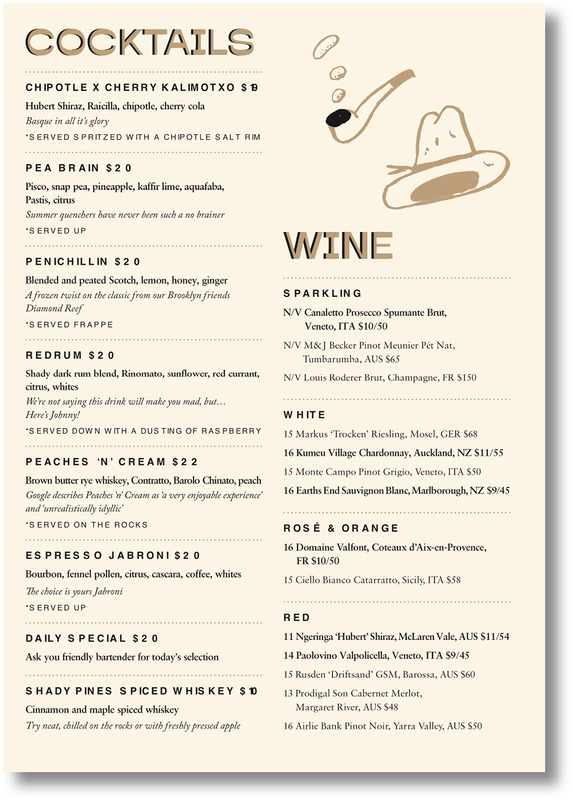 Take a look at the menu and you’ll see ingredients like Barolo Chinato, Rinomato, and Contratto (a trio of bitter Italian amari you don’t often see), and flavour combinations like chipotle and cherry cola. Instead of running with a theme for the menu, Irvine says they went with what they loved. 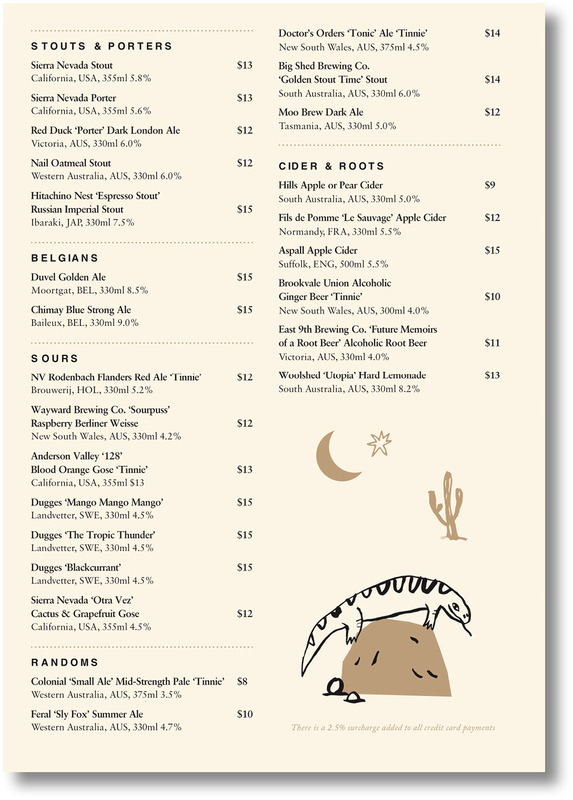 Hey presto, you’ve got yourself a refreshing cool drink. 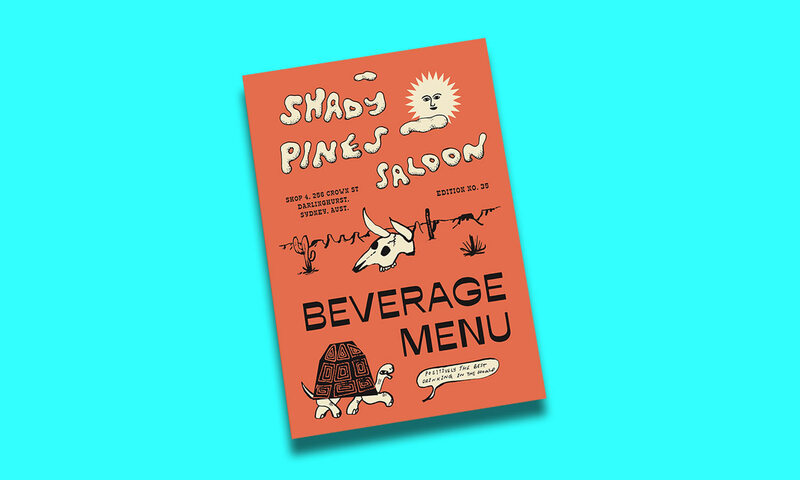 Shady Pines Saloon’s new menu for summer, 2018.